© Chad Coppess. All rights reserved. 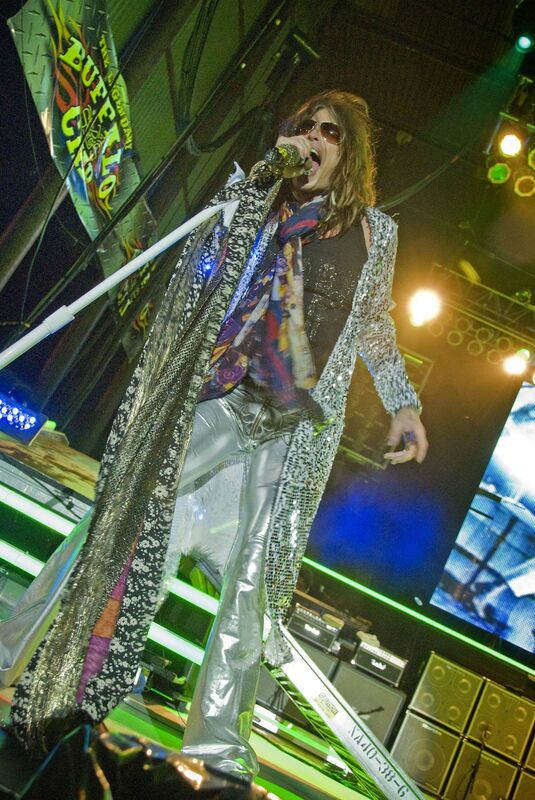 Steven Tyler of Aerosmith belts out a song just minutes before falling off the stage and injuring himself at the Buffalo Chip Campground during the Sturgis Motorcycle Rally in South Dakota on August 5, 2009. Date Uploaded: Jan. 17, 2016, 11:28 p.m.